The work and publications of Rabbi Yehoshua Mondshine continue to provide unparalleled insight into the intellectual and social history of Chassidism generally and Chabad specifically. 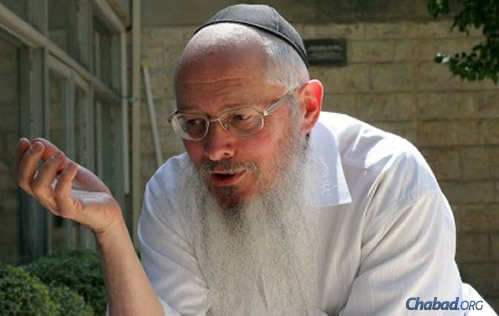 Rabbi Yehoshua Mondshine, a bibliographer and researcher who discovered and illuminated many important aspects of Chabad history, passed away in Jerusalem on Dec. 24, the eighth day of Chanukah. He was 67 years old. Mondshine’s involvement in research and publishing began while he was still a student and continued throughout his life. While he made his living as a bibliographer in the manuscript department of the National Library of Israel at the Hebrew University of Jerusalem, he made his name as a researcher and historian. His publications continue to provide unparalleled insight into the intellectual and social history of Chassidism generally and Chabad specifically. Born in 1947 to a religious family in Tel Aviv, Mondshine studied at the Yishuv HaChadash Yeshivah. At age 17, following a correspondence with the Rebbe—Rabbi Menachem M. Schneerson, of righteous memory—Mondshine began studying at the Tomchei Temimim Yeshivah in Kfar Chabad under the spiritual guidance of Rabbi Shlomo Chaim Kesselman. In 1968, he married Rachel Leah Braufman of Kfar Chabad. Mondshine’s correspondence with the Rebbe began around 1960, when he requested and received a blessing ahead of his bar mitzvah. Thereafter, he continued to write to the Rebbe, confiding his teenage anxieties and seeking spiritual advice. In one early letter that signified things to come, the 14-year-old Mondshine included a list of textual variants he had noticed in the Chabad prayerbook compared to earlier sources. Rather than supply him with answers, the Rebbe referred him to sources where he could explore the issues and discover the answers himself. In 1968, Mondshine traveled to New York to study at the Central Chabad Yeshiva, at 770 Eastern Parkway in the Crown Heights neighborhood of Brooklyn, N.Y. While there, he embarked on his first major publishing project—taking the lead editorial role helping Rabbi Yehoshua Korf publish a new commentary to the Tanya. The Rebbe expressed great enthusiasm for this effort, reviewing and commenting on the manuscript before it went to print, and publicly expressing his satisfaction with the new publication. 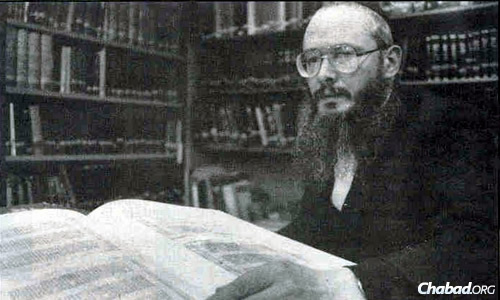 In the early 1970s, Mondshine was charged by the Rebbe to compose an introduction and indexes to the surviving writings of Rabbi Levi Yitzchak Schneersohn, the Rebbe’s father. In a poignant expression of personal appreciation, the Rebbe singled out Mondshine at a public gathering marking the 29th anniversary of Rabbi Levi Yitzchak’s passing. After presenting him with a token bottle of vodka, the Rebbe led the crowd in an enthusiastic rendition of the Chassidic dance tune particularly favored by his father. Under the Rebbe’s close guidance, Mondshine continued to work on indexing and publishing Chassidic texts, including the teachings of the second and third rebbes of Chabad, and those of the Rebbe himself. It was during this period that he began to draw on his knowledge of the manuscripts housed at Israel’s National Library, selecting important manuscripts, comparing different versions and preparing them for print. In 1980, Mondshine published Migdal Oz, a hefty memorial volume incorporating many previously unpublished Chassidic texts. Different sections were devoted to Jewish law and Chassidic teachings, to Chassidic tales and memoirs, and to correspondence and other genres. The volume also included original articles on various aspects of Chassidic historiography and ethos. Perhaps the most widely consulted of Mondshine's works is his two-volume compendium of Chabad customs, "Otzar Minhagei Chabad." In 1982, Mondshine published an early and previously unknown manuscript of Shivkhei Ha-Baal Shem Tov (“Praises of the Baal Shem Tov”), the first collection of tales about the founding figure of the Chassidic movement. In an extended introduction and appendices, Mondshine examined the manuscript in correspondence to the various published versions of the text, probed related historiographical and bibliographical questions, and assessed the treatment and perpetuation of tales of the Baal Shem Tov in later generations of the Chassidic movement. Levine at the Central Chabad Library, testified to the Rebbe’s deep appreciation of Mondshine’s scholarship. “The Rebbe valued his books and articles to an unprecedented degree, and would constantly demand that he add more and more,” he said. A discerning visitor to the Rebbe’s office will discover that Mondshine’s edition of Shivkhei Ha-Baal Shem Tov continues to grace the shelves. The year 1981 saw the first of two definitive bibliographical works on the published writings of Rabbi Schneur Zalman of Liadi, founder of the Chabad school of Chassidism; the second appeared in 1984. Even while working on comprehensive works like the ones mentioned above, he continued to publish shorter articles in various journals, both academic and rabbinic, some of them under the pseudonym Yehoshua D. Levanon. Beginning in 1986, Mondshine began publishing his own journal, titled Kerem Chabad. The first two issues included articles by other authors as well. Though most of the material was Mondshine’s own work, some of it was left without attribution. The third issue comprised a collection of documents providing a comprehensive overview of the original Tomchei Temimim Yeshiva, founded in the town of Lubavitch, Belarus, in 1897. But it was in the fourth issue of Kerem Chabad that Mondshine made his most lastingly significant contributions to Chassidic historiography. 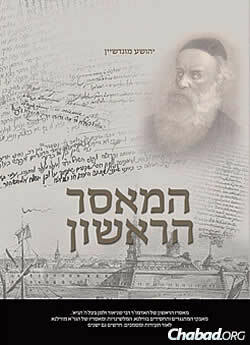 Mondshine produced groundbreaking works on Rabbi Schneur Zalman of Liadi, the founder of Chabad-Lubavitch. In an issue spanning two large volumes, Mondshine published a previously unseen trove of documents from the Imperial Russian Archives, dating from the first and second imprisonments of Rabbi Schneur Zalman of Liadi. The cache included the original letter denouncing him to the tsarist authorities; official correspondence related to the arrest and to the subsequent investigation; Rabbi Schneur Zalman’s own handwritten testimony answering questions posed by government investigators; and a record of the tsar’s personal command that Rabbi Schneur Zalman be released, along with those who had been arrested alongside him. In a series of supporting articles published alongside these documents, Mondshine marshaled a vast array of sources to recreate the social, political and religious context in which Chabad Chassidism was established and developed. An entire section of the journal was devoted to a bold re-examination of the struggle against the fledgling Chassidic movement. 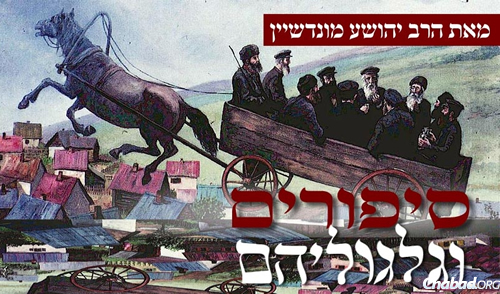 Two articles laid bare the intrigues of the Jewish community of Vilna, and showed that although the stubborn opposition of the Vilna Gaon—Rabbi Eliyahu ben Shlomo Zalman Kremer—may have been grounded in theological concerns, it was also influenced by the petty struggles of local power-brokers. More than two decades later, new documents continue to be unearthed, broadening the knowledge and deepening the understanding of Chassidism and its history. Throughout, Mondshine was at the forefront of Chassidic scholarship, continuing to publish article after article, volume after volume. 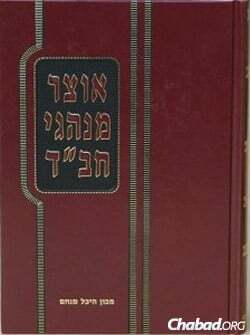 Perhaps the most widely consulted of his works is his two-volume compendium of Chabad customs, Otzar Minhagei Chabad, mostly covering the festival periods of Tishrei and Nissan. This collection is exemplary for its combination of popular appeal, organized functionality, and its comprehensive and critical review of all relevant sources. Mondshine did not simply document Chabad customs, but also drew on his vast knowledge of other Chassidic groups to trace the similarities and differences between their traditions. An undercurrent to all his work is the attempt to capture the true spirit of Chabad Chassidism; a spirit at once critical and honest, intellectualist and sincere. For Mondshine, this spirit did not remain aloof and theoretical, but extended to his service of G‑d in real life. 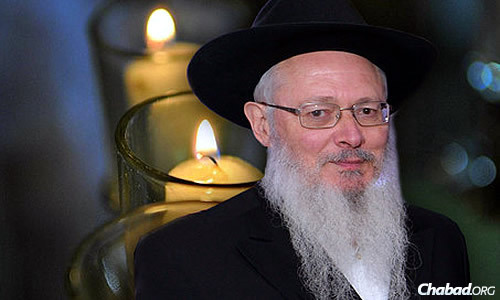 As his childhood friend and longtime colleague Rabbi Dovid Meir Drukman pointed out, Mondshine consistently stepped beyond mere aspiration, customarily praying in the lengthy contemplative manner prescribed by Chabad teachings. Professor Shaul Stampfer of the Hebrew University of Jerusalem added that besides his scholarly contributions and individual piety, another admirable facet of his personality should not be forgotten: his talent for mischievous satire. Indeed, Mondshine wielded the scholar’s pen with surprising force. His textual knowledge, analytical skills and perception as a Chassidic insider were sometimes complemented by biting sarcasm to undo a thesis he disagreed with. As a Chassid operating in the academic sphere, he was unapologetic and unintimidated. Elements within each of the communities he straddled may have accused him of being under the sway of “external” influences, but Mondshine understood that the tools of critical research would help Chassidim better understand their own tradition. Mondshine sought to remind his fellow Chassidim that the essence of the Chabad approach is pnimyut—a Hebrew word meaning “inwardness,” and denoting a combination of critical self-awareness and sincerity. Without a critical effort to preserve Chabad’s collective history, the authentic spirit of the movement would be all too easily eroded. Mondshine’s piety was disciplined, gentle and good-humored, but he was in no sense a pushover. In recent years, he became renowned—some might say notorious—for his sharp and often satirical critique of newly popular beliefs, behaviors and attitudes that he saw as utterly antithetical to the true spirit of Chabad teachings. As a scholar, Mondshine did not retreat into the ivory tower and let the world pass him by. In a series of more than 70 articles published on the shturem.net website, titled Sepurim U-Gilgulaihem, he combined scholarship and wit to challenge conventional thinking—educating and entertaining those who sympathized with his approach, and scandalizing those who did not. In "Sepurim U-Gilgulaihem," Mondshine combined scholarship and wit to challenge conventional thinking. At the same time, Mondshine continued to publish more serious work, both individual articles and as part of complete volumes. “The First Imprisonment” and “The Last Journey,” both of which were reviewed here, are two of his more recent books. Speculation has it that two new works are close to completion: a comprehensive account of Rabbi Schneur Zalman of Liadi’s second imprisonment; and a critical edition of the early and influential work of Chabad historiography, Beit Rebbi. 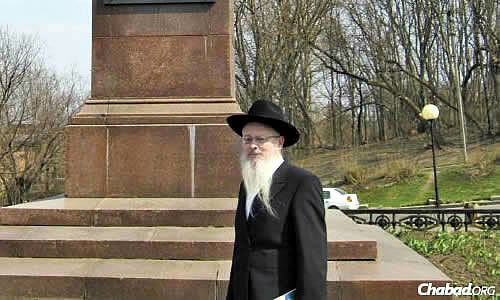 Mondshine was predeceased by his first wife, Rachel Leah, in 2006, and is survived by his second wife, Devorah, in addition to his children: Rabbi Dovid Mondshine of Moscow; Rabbi Levi Yitzchok Mondshine of Smolensk, Russia; Rabbi Hillel Mondshine of Jerusalem; Mrs. Chaya Akselrod of Kiryat Malachi, Israel; and Mrs. Dina Segal of France.